Hotels are spending more and more of their budget on technology, with hotel revenue dedicated to technology increasing from 2.6% of annual revenue in 2013 to 6% in 2015. These numbers are promising for hotel tech, indicating that hotels are open to and interested in new and useful applications. On the other hand, it is a crowded market with lots of competition, and even with a great idea, many tech companies find that hotel data and software is so fragmented that they get bogged down in integrations rather than focusing on delivering a great product. These challenges discourage newcomers from entering the market and squash innovation. This year at ITB, we spoke with dozens of companies, some with truly brilliant prototypes that would help hotels improve the guest experience. But in order for the products to work to their full potential, these startups need to connect to PMS data, and they struggle to build up enough PMS integrations. The current integration problem for tech companies is akin to an electric car that works beautifully and solves a much-needed problem, but without enough stations to recharge, the car doesn’t go anywhere. Imagine taking the pain of integration away. Tech companies could work on innovation and creatively solving problems for hotels. PMSs could innovate as well, with far fewer companies knocking on their doors trying to build integrations. Hotels could pick and choose the software that they need without worrying about if (or when) the solution connects to their current setup. Solving this problem will allow us to move forward as an entire industry. So what’s the solution? We need one central location where all of a hotel’s data is stored. Where the hotel can manage and customize its entire technology stack. A location on top of which technology companies and developers can build new applications that can change the industry. 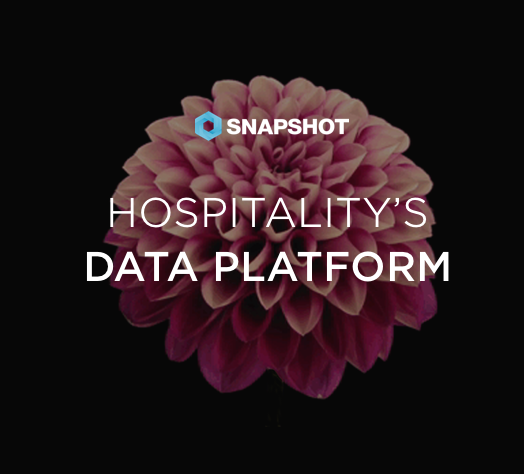 SnapShot is building this hub in its Marketplace, which includes an app store with applications for hotels, as well as an API with access to the transactional data that so many hotel tech companies are lacking. What does this mean for developers? SnapShot Marketplace eliminates the integration piece and offers access to API documentation, brainstorming, technical backup, marketing strategy, and a sales distribution platform. It is a place where a new app can live and breathe and gain exposure in front of thousands of hotels. Basically, all of the essentials that allow tech companies to focus on what they do best: innovate. When it comes to building the infrastructure that hotels are poised to spend on this year, much of the problem with the existing friction lies in the silos that have developed around the multitude of different technologies hotels use. The Snapshot Marketplace is the infrastructure that hotels are looking for. By contributing technology to it, technology companies can allocate all resources towards building creative, problem-solving solutions, and hotels are able to reallocate those infrastructure dollars to new guest-facing technologies that will generate revenue. Marketing Challenges for Independent Hoteliers Can Hotel Software Be As Easy to Manage as Your Smartphone?